Na obrázku dole je/jsou Baterie Yuasa. Na našich stránkách najdete tisíce dalších náhradních dílů za velmi příznivé ceny. Maintenance Free Batteries take a different type of acid to conventional batteries and come with a compartmented acid pack in the box for easy installation. A Maintenance Free battery should never require topping up with more acid. 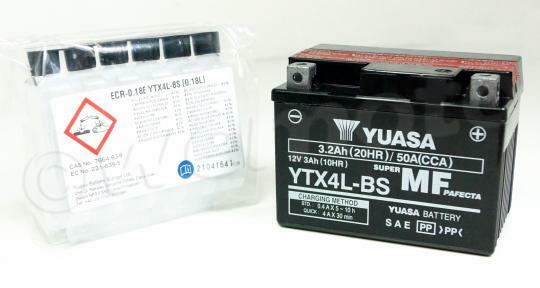 All batteries naturally discharge slowly when not in use, and a vehicle with an immobiliser can hasten this process. We recommend that if your battery is not in use, that you remove it from your vehicle and keep it on an intelligent charger to keep it happy and healthy.